If there is a question you have that you do not see the answer to on our website please contact us. I graduated from an AVMA Accredited Vet Tech program and passed the VTNE. What do I do now? Your next step is to submit your application for New Certification in New Hampshire. Submit the New CVT Membership Application form and required documents online. We will process your application and email you your certificate. Can I roll over my CE credits into the following year? No you may not roll over your CE credits into the following year. Credits for certification renewal must be obtained between January 1 and December 31st of the previous year. What is the difference is between a tech who is certified or licensed or registered? Each state regulates their veterinary technicians differently. Some are registered, some licensed and some certified. Most states use the Veterinary Technician National Exam, and regardless of which title is bestowed after passing the exam, you can have the score you received in one state transferred to another if the two states use the same exam. In most cases, after paying the state’s fee, you are then considered certified, licensed or registered in that state. Some states require a practical exam in addition to the written national exam. You would then have to fulfill that requirement before becoming fully credentialed in that state. For more information on credentialing of veterinary technicians click here . Regulations for sitting for exams are found on the American Association of Veterinary State Boards web site. To find out what your state requires, go to the AAVSB website by clicking here. In New Hampshire Technicians are Certified and Certifications are issued by the New Hampshire Veterinary Technician Association. I am planning a Continuing Education event. I would like to make sure the NHVTA will accept the CE credits we give our attendees. How do I go about getting that approval? If you are planning a Continuing Education event and would like the NHVTA to approve the CE credits you are offering please complete our online form. 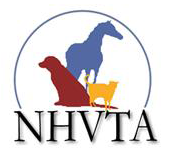 Generally the NHVTA will approve CE credits for programs that are veterinary related and presented by a licensed Veterinarian or a Veterinary Technician Specialist or experienced technician. I am taking a CE course – how do I know if NHVTA will accept the CE Credits? The NHVTA will accept all RACE approved CE and all CE presented by the NHVTA. We have a list of NHVTA approved continuing education providers. If your CE is not hosted by one of these organizations please contact us. What are the deadlines for submitting my renewal paperwork? You have until March 1st to get your renewal paperwork in without paying additional fees. After March 1st a $25.00 late fee is due along with the standard membership fee. Please remember that all of your CE must be obtained in the year prior. I did not renew my NH Certification last year what do I need to get my certification up to date? The NHVTA offers an Amnesty Program for those technicians whose certification may have lapsed. Applicants must use the Amnesty Application Form, listing 12 CEU for each year missed. The CEU’s do not have to be from the missed year, but 12 for each missed year are required. A total payment of $75 per year lapsed is required. Time Limit: An NH certification will go into expired status if not renewed for 4 consecutive years. Expired certifications must appeal to the board for reinstatement using the Amnesty Application Form and must meet all of the standard requirements.